A few weeks ago I went to the garden and picked a monster squash. It was gigantic and it was bumpy and yellow. 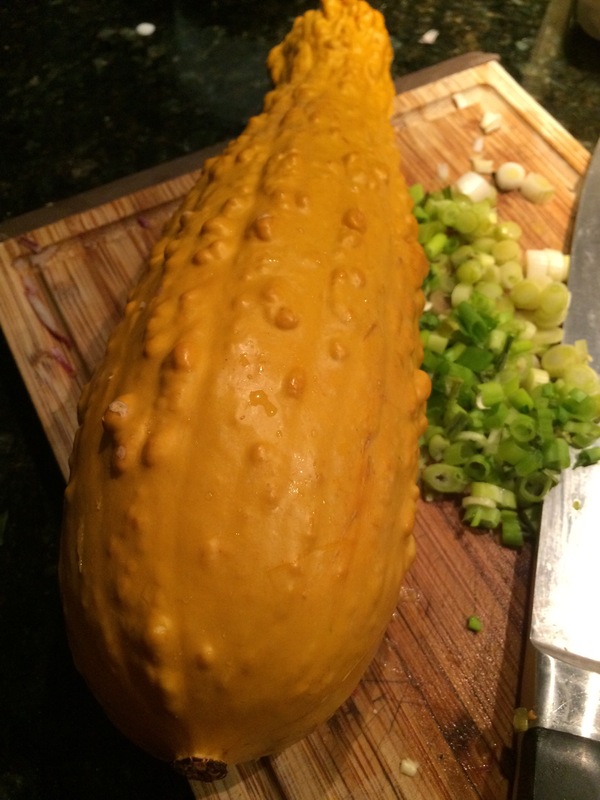 I had no idea what it was– I think it’s some kind of fall winter squash. Anyway yesterday I finally decided to use it and some zucchini. To this I added a can of coconut milk that I opened when we ran out of milk (yes it’s been that kind of week) and decided to combine that with whatever else was in our Fridge. The results were pretty awesome.